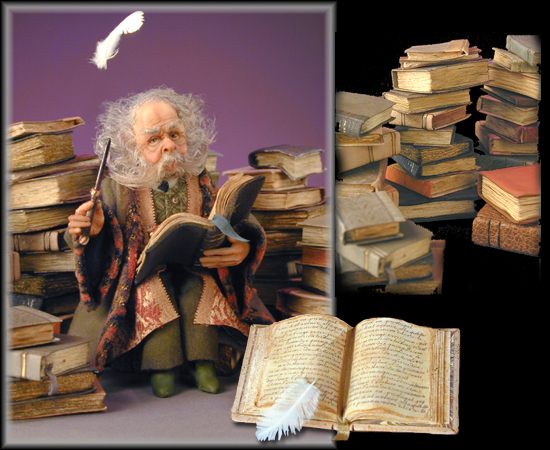 Creager Studios - "Professor Flitwick"
One of a Kind Miniature Art Doll, inspired by the Harry Potter Series... hand sculpted in Quality Polymer Clay and hand tinted. 53 Hand Made Books...with leather and Art Paper bindings. Doll is 1:12th scale...approx. 4" seated. All artwork and images displayed in this website are protected by &COPY; Copyright 2008 Jodi & Richard Creager. All rights reserved.